In my previous post I showed how to use progressive generative adversarial networks (pGANs) for image synthesis. 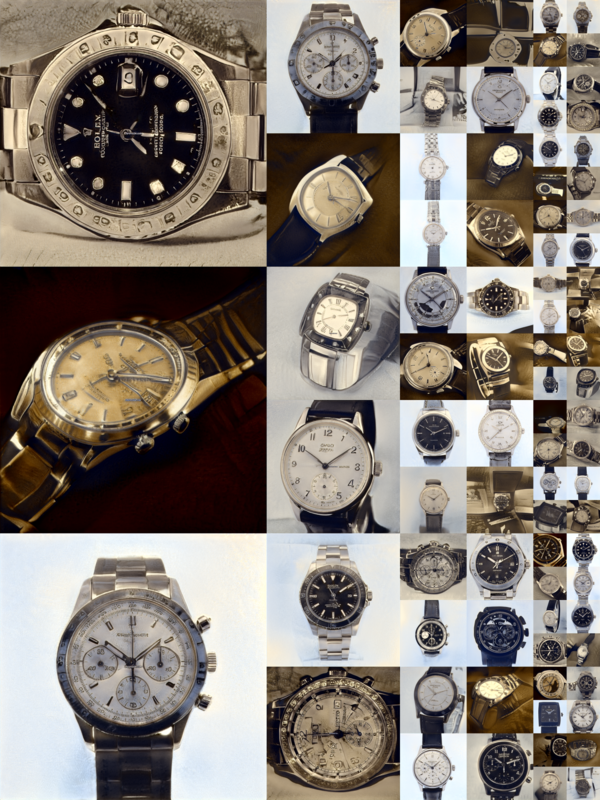 In this post I show how to use styleGANs on larger images to create customizable images of watches. Additionally, I show how to apply styleGAN on custom data. 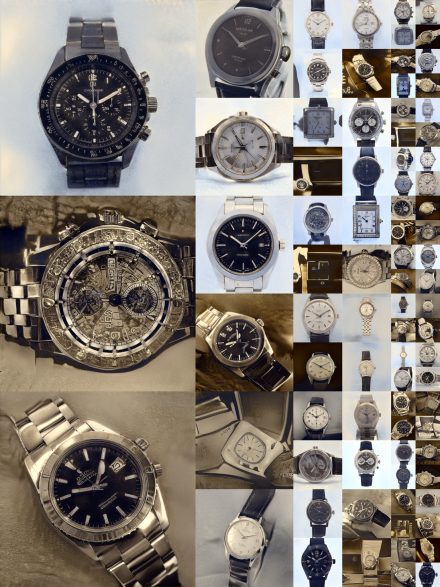 The StyleGAN paper has been released just a few months ago (1.Jan 2019) and shows some major improvements to previous generative adversarial networks. Instead of just repeating, what others already explained in a detailed and easy-to-understand way, I refer to this article. 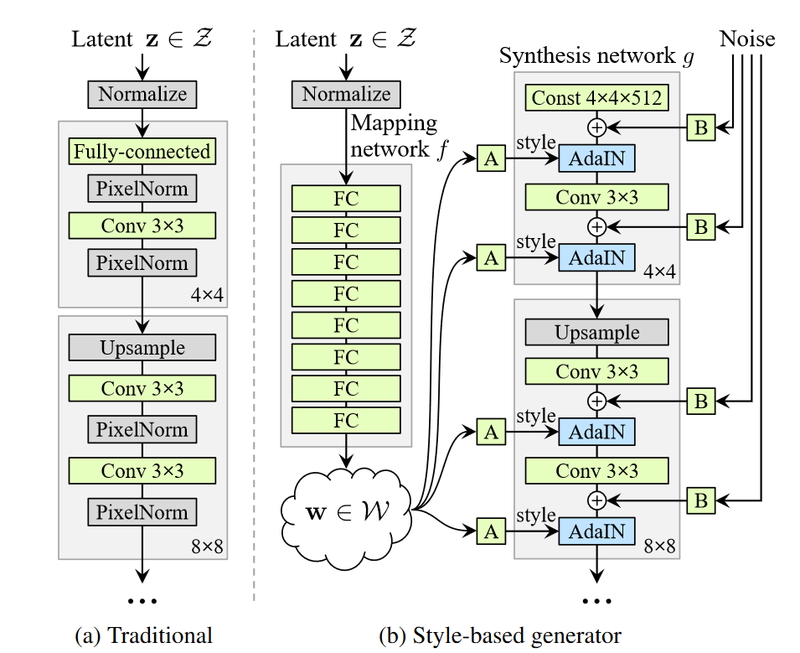 In short, the styleGAN architecture allows to control the style of generated examples inside image synthesis network. That means that it is possible to adjust high level styles (w) of an image, by applying different vectors from W space. Furthermore, it is possible to transfer a style from one generated image to another. These styles are mapped to the generator LOD (level of detail) sub-networks, which means the effect of these styles are varying from coarse to fine. The styleGAN paper used the Flickr-Faces-HQ dataset and produces artificial human faces, where the style can be interpreted as pose, shape and colorization of the image. The results of the paper had some media attention through the website: www.thispersondoesnotexist.com. I used the styleGAN architecture on 110.810 images of watches (1024×1024 ) from chrono24. 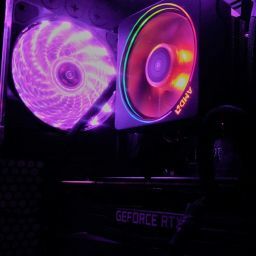 The network has seen 15 million images in almost one month of training with a RTX 2080 Ti. 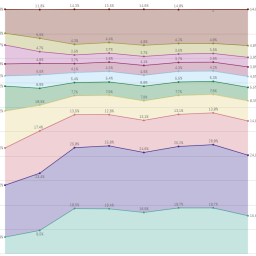 Results are much more detailed then in my previous post (besides the increased resolution) and the learned styles are comparable to the paper results. 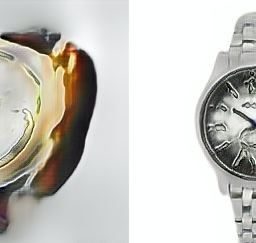 These images are not curated, so its simply what the GAN produces. In the first row we can see the target “style” and in the left we can see the watch to apply this style on. 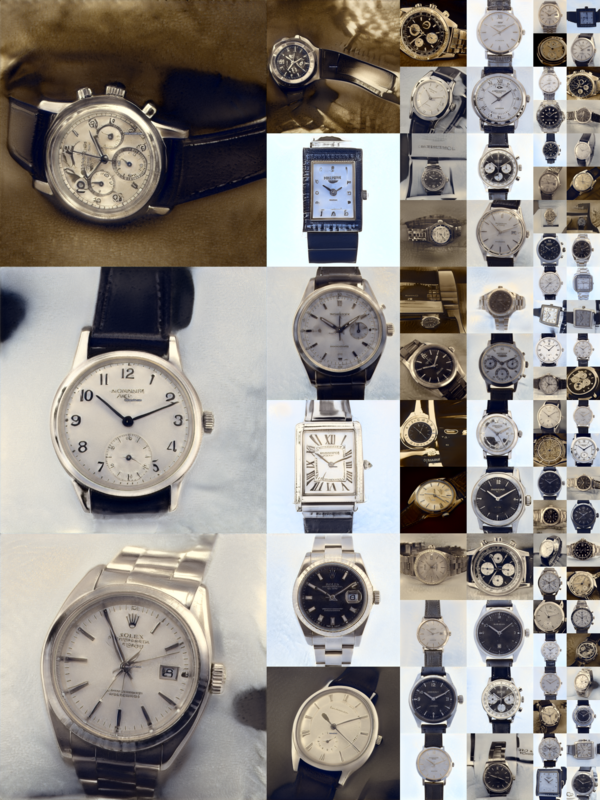 In this case the first 4 dimensions of the style are used to catch some kind of pose, so the GAN applies the pose of the watch to the watch in the second row. Here the medium-grained styles are applied. This style is more about the watch itself. 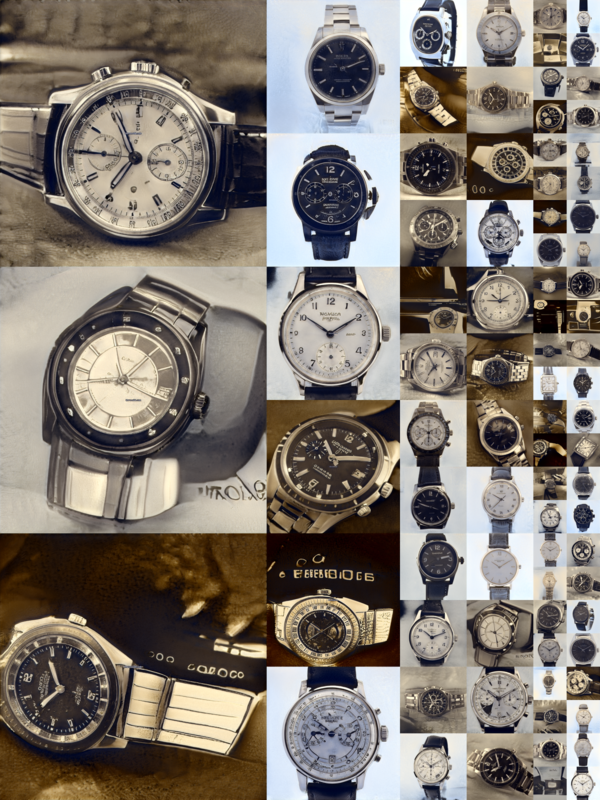 You can see how the sub dial changes or the color and style of the dial, case and so on. Here we can see the fine-grained styles, which are responsible for color and look.